Twenty-seven teachers in the Long Beach Unified School District recently earned National Board Certification, the highest professional distinction in teaching. More than 170 teachers here have earned the honor over the years. The rigorous certification is a year-long process that involves submitting portfolios, videotaping classroom instruction and participating in a day of written exercises. 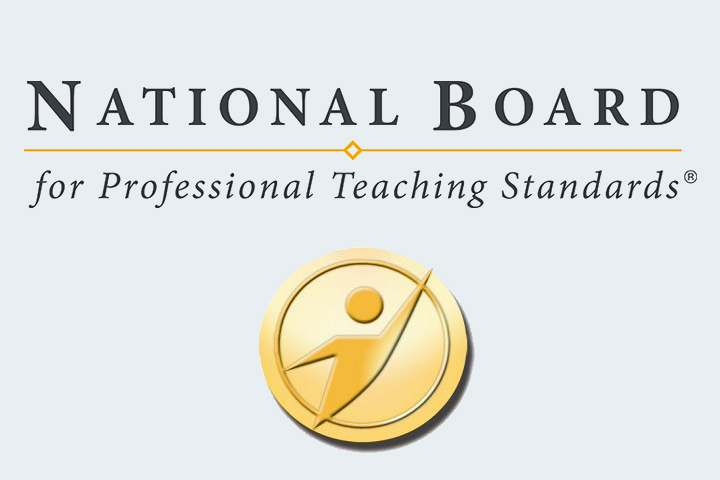 National Board for Professional Teaching Standards Certification is the nation's only advanced teacher certification. The newest nationally certified teachers and their work sites are Monica Aguilar, Garfield; Javier de Santiago, OCIPD; Kevin Hamilton, Rogers; Christina Hines, Rogers; Pauline Klein, Stevenson; Jennifer Larsen, Twain; Chelsea McCormick, Cabrillo; SuJin Montell, Twain; Alison Morales, Newcomb; Kristine Neff, Burcham; David Noyes, OCIPD; Sarah Schol, Poly; Joyce Su, Garfield; and Natalie Vanosse, Burbank. Teachers who recently earned renewal of the certification are Theresa Collins, Hughes; Elizabeth Curtis, Burbank; Ana Duran, King; Robert Gallandt, Music Office; Gregory Hodel, Jordan; Susana Juarez- Corrales, Holmes; Michelle Kaeka, Lakewood; Kimberly Klopfer, Robinson; Griselda Meza-Allani, Grant; Diane Reilly, Adams; Elvia Ruiz-Lopez, Cabrillo; Sarah Savala, Marshall; and Debra Simmons, Prisk. The newly certified teachers are scheduled to be honored at the Board of Education’s next regular meeting on Feb. 20. National Board Certification can offer license portability and can contribute to continuing education units for educators statewide. Learn more about National Board Certification at lbschools.net and at the National Board for Professional Teaching Standards website, nbpts.org.